The national carrier of Sri Lanka, SriLankan Airlines celebrates its 33rd anniversary this month. This milestone will be marked with religious ceremonies for the staff commencing from the first week of September. The life journey of the airline has been fascinating, checked with victories and surviving turmoil during the country’s three decade long civil war which claimed half of its fleet during the airport attack in 2001, the global recession and stifling competition in what is a mature, yet dynamic industry. SriLankan took flight on September 1, 1979 as Air Lanka, its former name, with a humble fleet of two leased Boeing 707-300B jetliners. Air Lanka’s preliminary route network spanned destinations such as, Frankfurt; London; Paris; Bangkok; Singapore; Kuala Lumpur; Bahrain; Dubai; Male; Mumbai and Chennai. In 1994 Air Lanka celebrated its 15th anniversary by being the first carrier in Asia to introduce Airbus A340 aircraft to its fleet. Three brand new A340s would soon have the airline operating long-haul services previously not possible to several of its destinations. Four years later, a ten year deal forged with Dubai-based Emirates would have Air Lanka soaring to new heights, under its new moniker – SriLankan Airlines. Today, SriLankan’s fleet has expanded to 21 Airbus A320, A330 and A340 aircraft, with some being brand new, delivered just this year and its network extends to 58 destinations in 33 countries in Europe; North America; Canada; Australia; Far East; Middle East and the Indian Sub-Continent. The airline has cemented a firm reputation worldwide for its service, comfort, safety and reliability, notching many enviable industry awards along the way. These awards include the, World’s Friendliest Cabin Staff by Skytrax; Best Airline in South Asia from Travel Trade Gazette; World’s Most Reliable Operator of Airbus A330s and A340s by Airbus Industrie and the Etihad Global Excellence Award for Best Regional Caterer. In 2011, the airline carried over three million passengers, and the numbers indicate a growth for 2012, which is in line with the thriving tourism industry. The first half of this year saw a 27 percent growth in the number of passengers that travelled on SriLankan, over last year’s first half. The airline is also in a phase of undertaking massive product enhancements starting with its fleet, with the acquisition of brand new A320s and the refurbishment of existing A330 and A340 aircraft, incorporating plush leather interior, flat bed seats on Business Class and state-of-the-art IMS Rave entertainment systems. In line with modern trends in global air travel, SriLankan now offers its Business Class passengers a quick check-in facility with the ‘Silk Route’ service at the Bandaranaike International Airport. SriLankan is also looking at advancing in other areas of aviation technology. In the last month, the airline became the first in Asia to replace bulky paper manuals used by pilots in the cockpit, with iPad Electronic Flight Bags (EFB). The year brought on acclaim to the training arm of SriLankan, the International Aviation Academy (IAA), when it was recognised by the International Air Travel Association (IATA) as one of its ‘Top Ten’ Authorized Training Centres in South Asia. In August 2012, IAA opened its first overseas branch in Maldives. In April 2012, SriLankan Engineering fortified its reputation as a reliable service provider in aircraft maintenance in the region, when it completed the 50th “C” Check for IndiGo– India’s largest low-fare carrier. 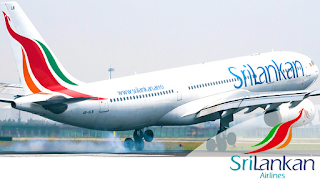 SriLankan Catering (SLC), a fully owned subsidiary of the airline, also expanded its services in the past 12 months. Semondu, its fine-dining restaurant, was opened in the historic Dutch Complex in December 2011. In addition to these developments, the external environment looks promising for SriLankan, with the booming Indian and Far Eastern leisure traveller markets and Sri Lanka’s unique positioning in the world map as a hub in Asia, the airline will have some great opportunities to expand in the near future.